Did you know you can have rich, robust garden soil delivered right to your door, anywhere in Northern Utah? Springtime is right around the corner and you’ve begun preparing your garden beds, planters, and raised beds in anticipation of all the colorful flowers, fragrant herbs and tasty fruits and veggies you plan to grow this year. If you had a good growing season last year, your soil is most likely depleted of nutrients. Adding an enriched soil blend to your flower or vegetable garden is the best way to ensure that they will be rich and productive this season. But what type of soil should you choose, and how much will you need? What Type of Garden Soil Should I Choose? Call us biased but we think an organic soil mix is best. Here at The Dirt Bag, we prefer a garden soil that has no added commercial fertilizers or chemicals. 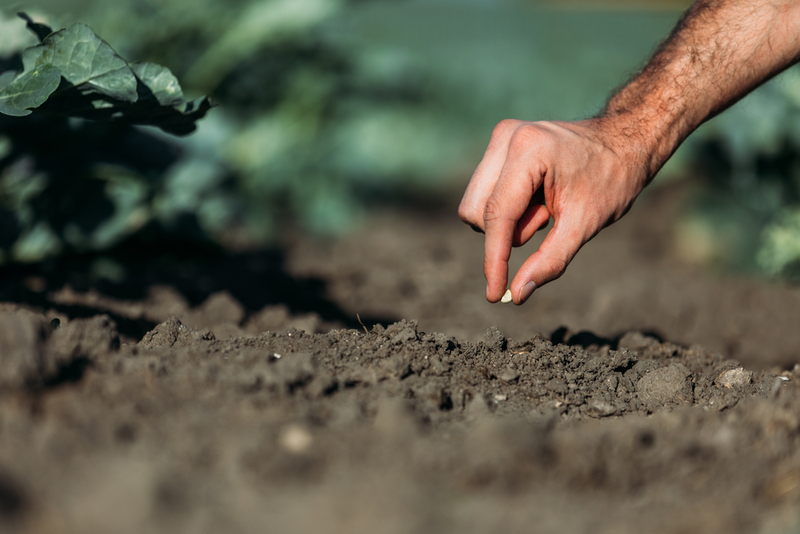 Not only does organic soil keep unhealthy contaminants out of the environment, but it also allows you to grow fruits and veggies that are healthier for you and your loved ones. How Much Garden Soil Will I Need? For our customers’ convenience, we’ve provided a nifty calculator on our website to help you calculate how much of our landscape materials you need. Our garden soil calculator takes the guessing game out of the equation and helps you to decide how much soil is necessary for your gardening and landscaping needs. This allows you to determine how many cubic feet of beds you have to fill in, and how many bags (or how much bulk) to order for your spring and summer gardening projects. This year, you don’t have to haul heavy bags of dirt out to your car, or load, unload and carry them around by yourself. The Dirt Bag will deliver and place your soil where you need it. Just place an “X” on the spot where you want your organic soil dropped. We use a heavy forklift to move the bags and, as long we have access to your gardening spot, we’ll drop it like it’s hot! After all, you’ve got a lot of work ahead of you, and now the fun begins! The Dirt Bag is located in West Jordan, Utah, and we deliver our products right to your door anywhere in Northern Utah. And, until April 1, all of our bagged products are on sale for only $99 – which includes free delivery anywhere in Salt Lake County. What are you waiting for? All it takes is one quick call to The Dirt Bag today to order your garden soil delivery.